List: These are the technologies powering the race for Google, Mercedes, GM. The sheer volume of driverless vehicle related stories is increasing as companies and governments worldwide bet on the benefits of such technology to make driving safer and cut costs when it comes to transportation. This week, a fleet of 12 Wi-Fi enabled driverless trucks successfully completed a weeklong rollout, crossing European borders (Sweden to the Netherlands and to Belgium) for the first time. Elsewhere, in Singapore, MIT start-up NuTonomy has plans to pilot the first driverless taxis system in the world. The company said the system would work like Uber, where users call for a taxi via a mobile app. This could see mobility as a service (MaaS) be born. In the US, Google has also expanded the rollout of its driverless technology to Phoenix, the fourth US city to be used for testing the technology. Recently, news emerged on Google also looking to test the cars in the UK. Dr. Kevin Curran, senior member of the IEEE, told CBR: "Driverless cars require extra equipment, services and maintenance, and of course a more sophisticated supported road networks. There are also new risks, such as system failures and security and privacy concerns. "The costs of driverless cars should not be overlooked as they do need special equipment, including sensors, communications, computers, camera, radar, navigation systems and more sophisticated controls. "These can cost tens of thousands of pounds but we do expect them to become less expensive with mass production. We have to keep in mind that operating a car on public roads is more complex than flying an airplane." CBR looks into five technologies behind today’s driverless cars. From tracking road signs to lane lines and other objects (including humans) on the road, cameras are a central part of the whole driverless car system. Google, General Motors, Mercedes, and everyone else is using them. For example, Google’s driverless pod has a roof-top camera which uses an array of 32 to 64 lasers. The system will then build a tri-dimensional map to understand what is in front of the car for up to 200m. Elsewhere, Mercedes-Benz uses a stereo camera for the same effect. A second camera is also used by Google, this time mounted near the rear-view mirror. The device is used for more accurate readings of nearby traffic signs and moving objects and people. 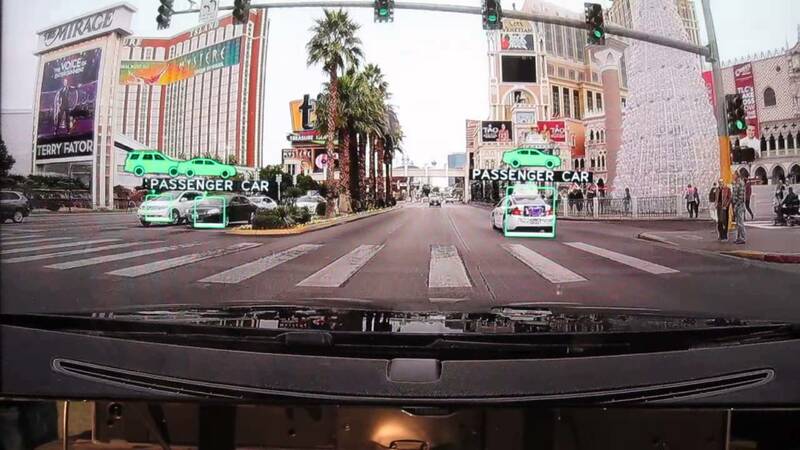 Other cameras are included in the back of driverless cars to monitor the road behind the vehicle and assist with parking. Each side of the car also has a camera to observe what is happening on the right and left side of the unmanned vehicle. Automaker Nissan is using four wide-angle cameras to let a modified Leaf EV see its surroundings, according to the vehicle’s specification. With the need to keep the car always online and in readiness to any eventuality, processing collected data via sensors, cameras, ultra sensors, radars, and others, happens in a computer installed in the car. This ‘brain’ sends out the orders to the different parts of the car and can decide on things like acceleration, speed, lane changing, and so on. Back-up is also an integral part of the driverless vehicle. The on-board computer also has back-up capabilities to ensure the car keeps on working if, for example, the vehicle to road (V2R) connection is lost. In addition, the computer also acts as a "black box" like the ones encountered in airplanes. The piece of hardware will always keep the harvested data and in case of an accident, it is used to determine responsibility and liability. Radars are crucial to keep passengers safe as this vehicle to everything (V2X) technology helps prevent accidents as they trigger alerts for when something unusual is detected in one of the car’s blind spots. In its driverless pod, Google has installed four radars, two in the front and two in the back, which let the car be aware of vehicles in proximity. The software is programmed to at all times maintain a distance of two to four seconds vis-a-vis the car ahead of it, according to UK car parts company, National. This will make the car automatically speed up or slow down depending on the behaviour of the car/driver ahead. Smarter radars are also being deployed on roads. For example, Highways England has unveiled plans to trial radar technology on motorways and acoustic technology at the Hindhead Tunnel in Surrey to improve breakdown detection. There are two main types of sensors that play their part in today’s driverless cars. The ones built into the vehicle and the ones built as part of the road’s infrastructure, which will then talk to the car. On the car side, one sensor being used today by companies like Google or Lexus, is a position estimator. This is a sensor embedded on the left rear wheel of the car that measures lateral movements and determines the vehicle’s position on the map. To complement GPS information, gyroscope and accelerometer sensors are also being used by auto manufacturers to collect as much raw data as they can to ensure the car stays on the right lane, at the right speed, in the intended direction and that it stops when needed. On the road/infrastructure side, intelligent sensors to collect real-time data on weather patterns or overall traffic conditions, for example are also being deployed. In the end, it all comes down to connectivity and the ability of the car to send and receive new data to and from nearby radars, gateways and other sources. WiFi, or in its real name IEEE 802.11x, uses radio waves to provide high internet speeds and network connections in devices, according to the WiFi Alliance. With different WiFi spectrums appearing, such as WiFi Forward and WiFi Halow, which operates in frequency bands below one gigahertz, these are becoming more sustainable technologies for longer range, lower power connectivity. The UK government, for instance, is planning to trial the first driverless convoy of lorries on UK motorways later this year. Daimler, a Mercedes-Benz company, is also planning to trial a fleet of three fully-autonomous trucks under the European Union-sponsored European Truck Platooning Challenge. The vehicles will leave the company’s headquarters in Stuttgart, Germany, to Rotterdam, in the Netherlands. When using WiFi with a fleet of driverless cars, this becomes crucial to ensure that all cars accelerate, break and stop at the same time, Daimler said.